Get a discount of -15% with a special code “P-LANN-ER16”! Valid till 21st August. Pilnīgi neticas, ka augusts ir jau pusē un pēc divām nedēļām jau ir septembris. uzņēmumu Personal Planner, kas nodarbojas ar personalizētu plānotāju izgatavošanu. Esmu izveidojusi visai foršu un stilīgu plānotāju rudens sezonai. Saņem -15% atlaidi izmantojot kodu “P-LANN-ER16”. Kods ir derīgs līdz 21. augustam. 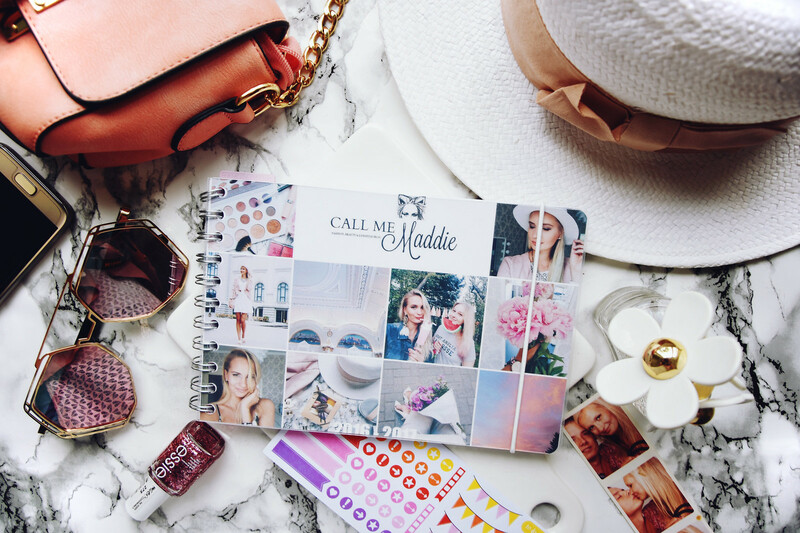 You can completely personalize the front and bottom covers – you can upload your picture or you can choose from one of the many on the website. On the front cover I decided to put together some pictures from my Instagram account, whereas, on the bottom cover I decided to compile some inspiring pictures from my Tumblr page. 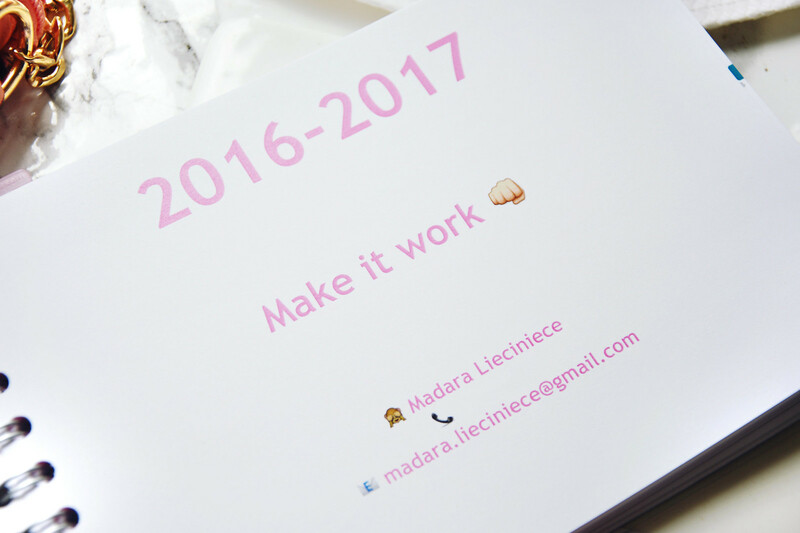 You can also choose the design, the colours, the arrangement and the modules inside the planner. I’m so loving the modules as they help me to organize my daily life, for example, I decided to include the ‘To do list’, ‘’This weeks excercises’ and so on. 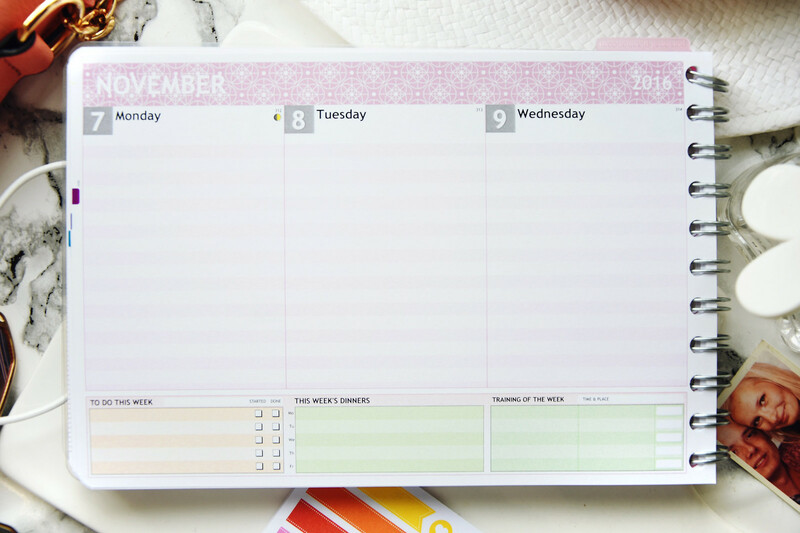 Together with the planner you’ll also receive a ruler in a colour by your own choice, a plastic pocket and cute stickers which will make your planner cool and colorful! 🙂 + You can customize the dates as well, for example, mark birthdays, anniversaries and other. You’ll also have the chance to make your back to school/studies/work time more effective, inspiring and organized if you’ll decide to participate in a giveaway in which you’ll be able to win your personalized planner! Sounds good? Read all the terms on how to enter below. gads būtu efektīvāks, radošāks un organizētāks ar Personal Planner palīdzību. 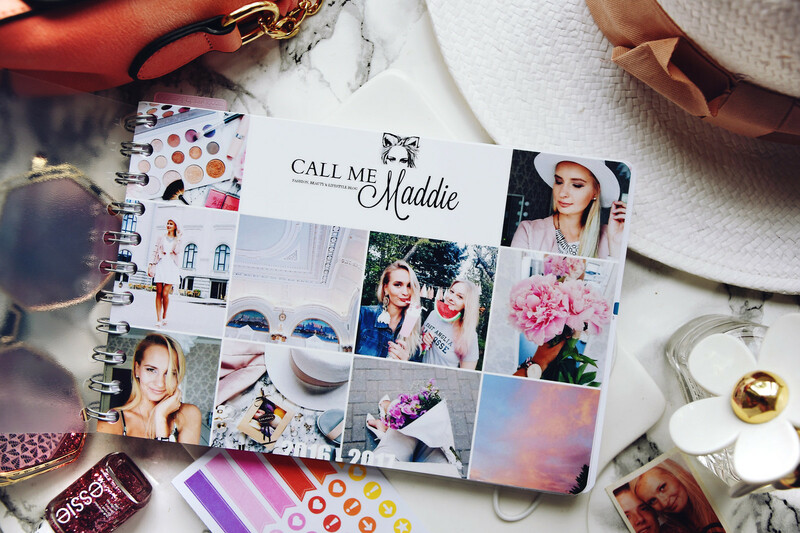 In order to win a personalized planner fill out the entries in the Rafflecopter widget down below! There are two mandatory entries, but rest are optional- onl y to give you a better chance of winning! Lai iespējams laimētu personalizētu plānotāju, aizpildi nosacījumus Rafflecopter rīkā! Divi nosacījumi ir obligāti, pārējie, savukārt, dos lielāku iespēju laimēt šajā konkursā. In order to participate in the giveaway, you must fill out the Rafflecopter widget. Giveaway is open Internationally and everybody can participate; the giveaway lasts till 25th of August 12:00 PM. The winner will be selected randomly and contacted by email. I will announce the winner of this giveaway in this blog post and on Twitter. Konkurss ir internacionāls un jebkurš var piedalīties; konkurss ilgs līdz 25. augusta pusnaktij. Uzvarētājs tiks izvēlēts pēc nejaušības principa un es ar laimētāju sazināšos caur epastu. Uzvarētāju es paziņošu šajā bloga ierakstā, kā arī Twitterī. Tev sanācis burvķgs plānotājs! 🙂 Ja es laimētu, tad es to izveidotu kā dāvanu savam dzīvesbiedram ar viņa fotografētiem attēliem. 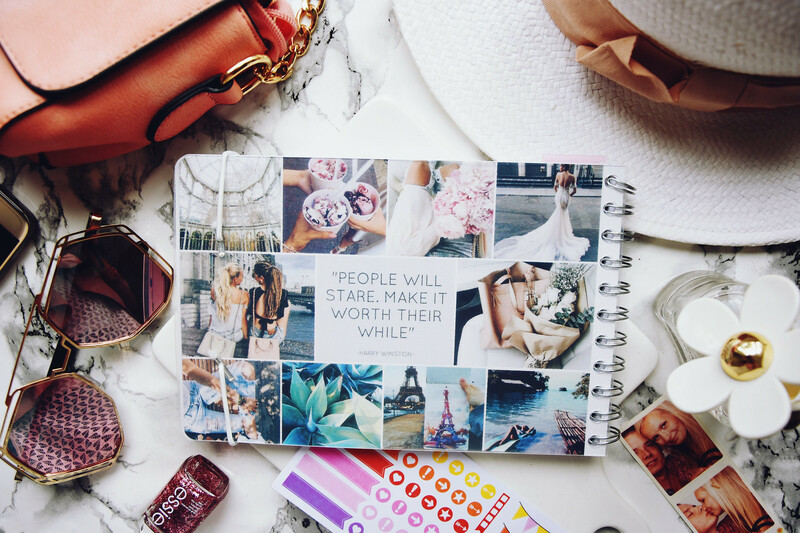 Gorgeous planner, thanks for sharing! I've made some analog photos, so I'd probably choose some of those for the cover. 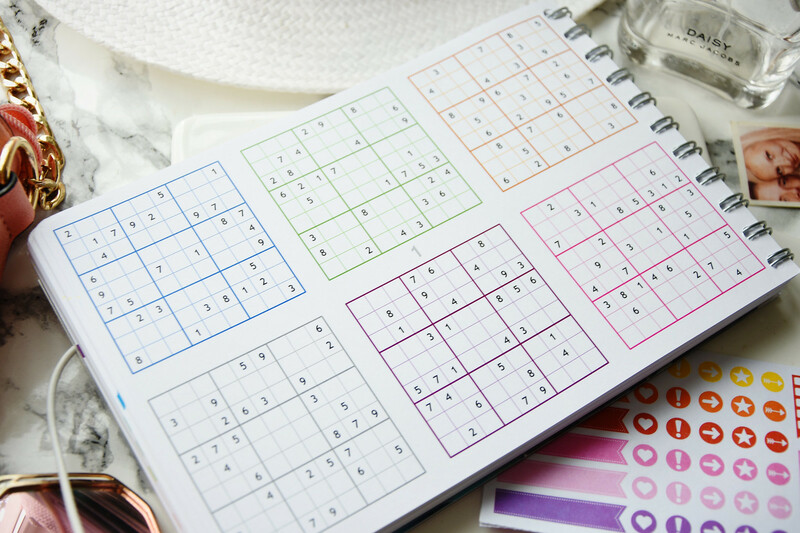 I liked the sudoku part, so I'd definitely pick that too. With motivational quotes and my favourite pictures of all time ! I would like to add my favorite quote with a pic of my family. I would love to add pics with my 3 littles on it. I would put cool quotes in it and have pictures of goals.